Operation Demo: wrong angle when the hook on the Fix button. 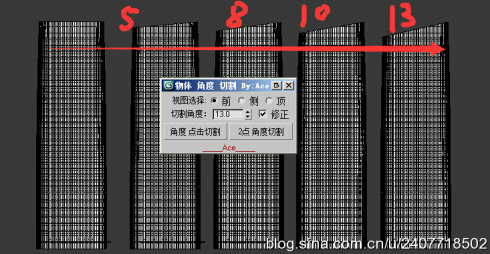 1.You can set the angle of the selected object to add Slice modifier. 2.You can quickly achieve the purpose of the cutting. 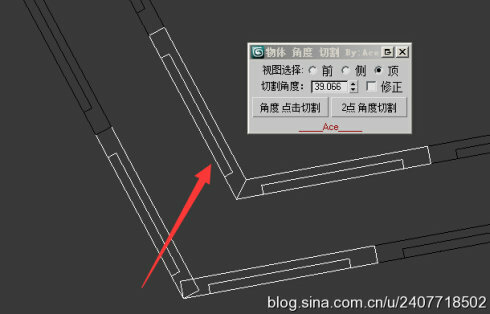 Operation is simple: Select the objectcoordinates can click on cutting. 3. For the same building can quickly make a different angle of the cutting program.